Yarn Type A beautiful chunky yarn that creates a Fair Isle pattern as you knit. Snuggly Baby Crofter Chunky comes in a gorgeous colour palette, each shade is inspired by the Scottish highlands. The Snuggly Baby Crofter Chunky design collection is full of adorable styles for babies, boys and girls from birth to 7 years. It has the wonderfully soft nylon/acrylic Snuggly baby blend and is machine washable on a wool cycle. 55% Nylon, 45% Acrylic. 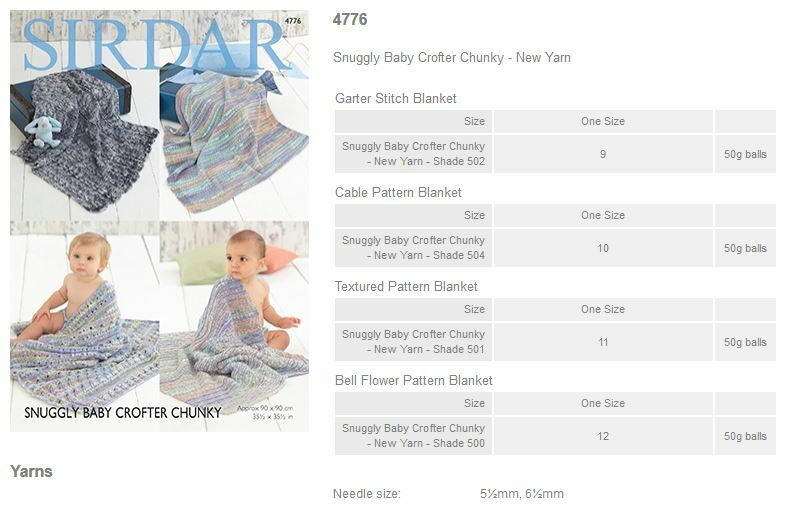 Leaflet with designs for blankets using Sirdar Snuggly Baby Crofter Chunky. 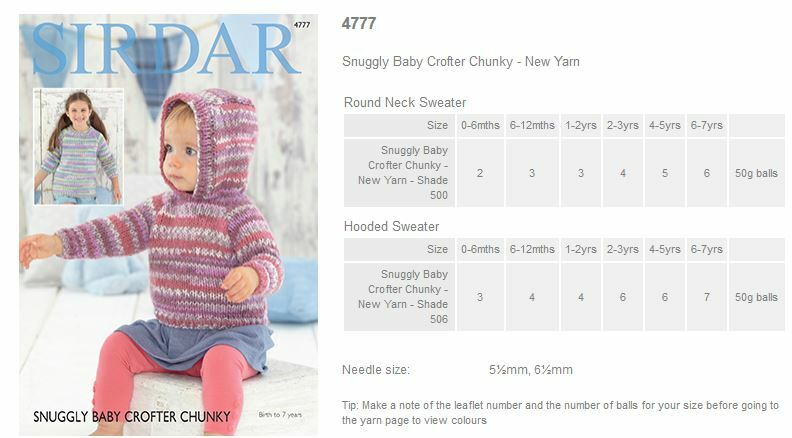 Leaflet with designs for a Round Neck Sweater and Hooded Sweater using Sirdar Snuggly Baby Crofter Chunky. 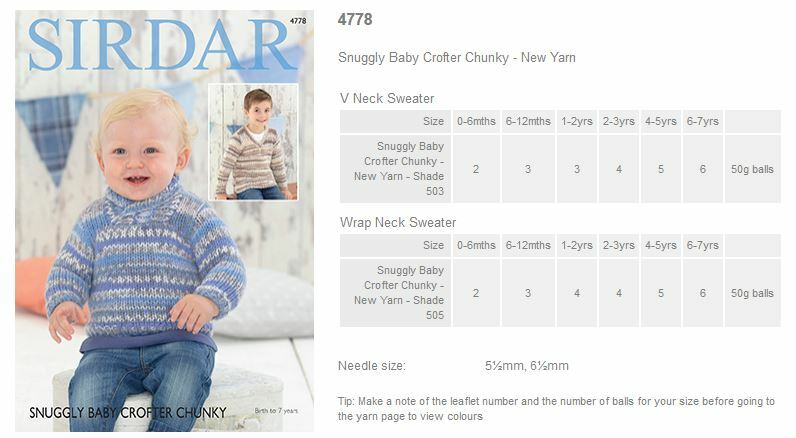 Leaflet with designs for a V neck sweater and Wrap neck sweater using Sirdar Snuggly Baby Crofter Chunky. 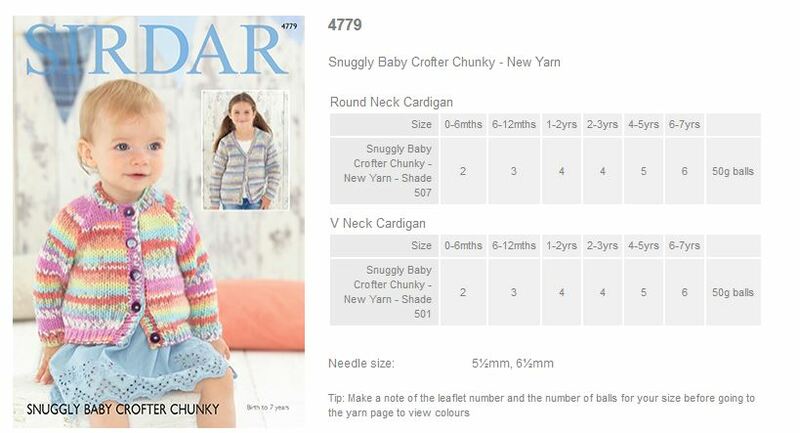 Leaflet with designs for a Round neck cardigan and V neck cardigan using Sirdar Snuggly Baby Crofter Chunky. 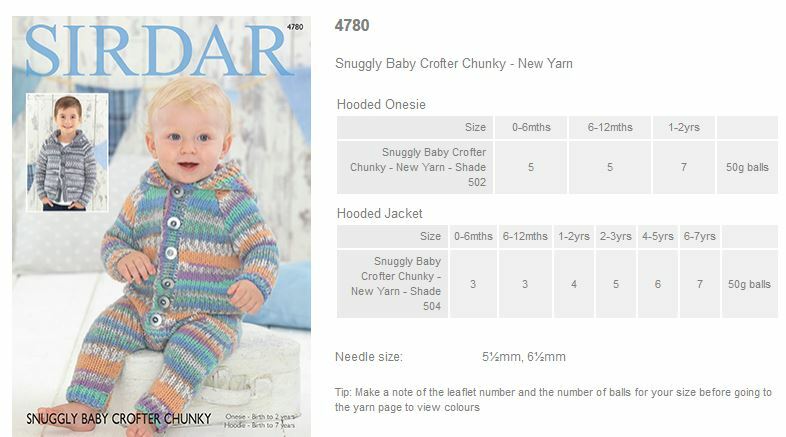 Leaflet with designs for a Hooded onesie and Hooded Jacket using Sirdar Snuggly Baby Crofter Chunky. 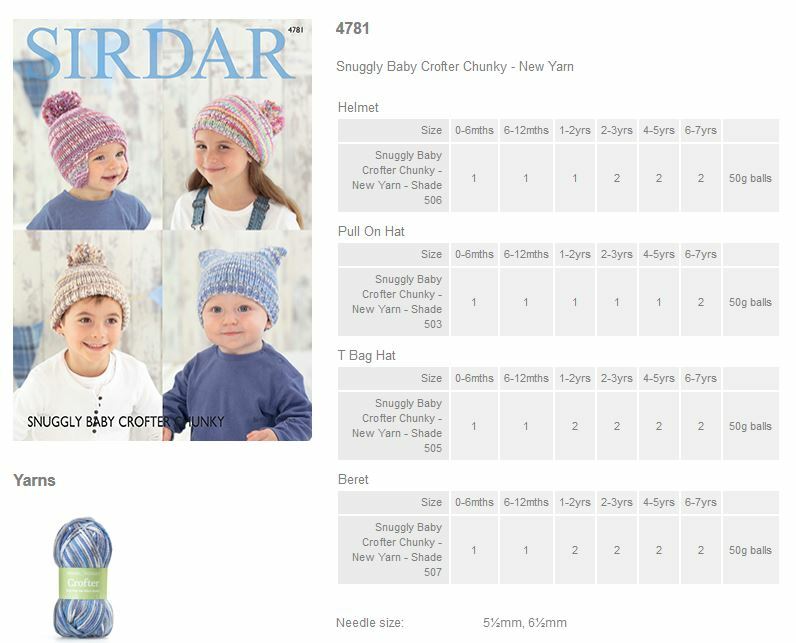 Leaflet with designs for Helmet, Hats and Beret using Sirdar Snuggly Baby Crofter Chunky.